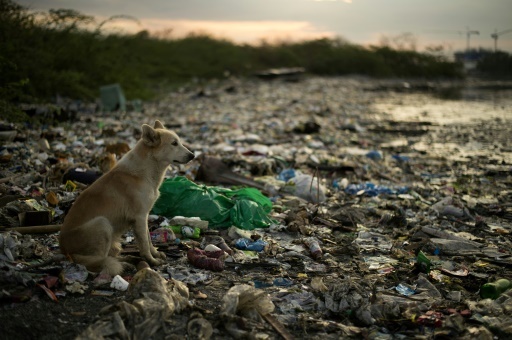 Thanh Hoa (Vietnam) (AFP) – A Vietnamese mangrove draped with polythene, a whale killed after swallowing waste bags in Thai seas and clouds of underwater trash near Indonesian “paradise” islands — grim images of the plastic crisis that has gripped Asia. AFP/File / Nhac NGUYEN. 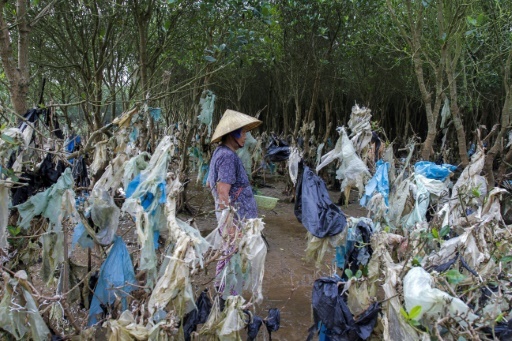 A mangrove forest in Vietnam’s Thanh Hoa is festooned with plastic rubbish washed in with the tide. AFP / Laurence CHU. Plastic waste. AFP/File / Romeo GACAD. 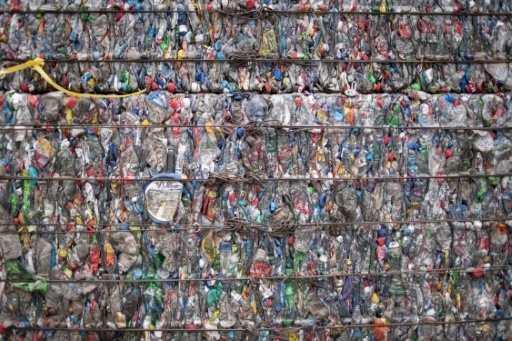 More than half the plastic waste dumped in the oceans comes from five Asian countries: China, Indonesia, the Philippines, Thailand and Vietnam. AFP/File / Fred DUFOUR. 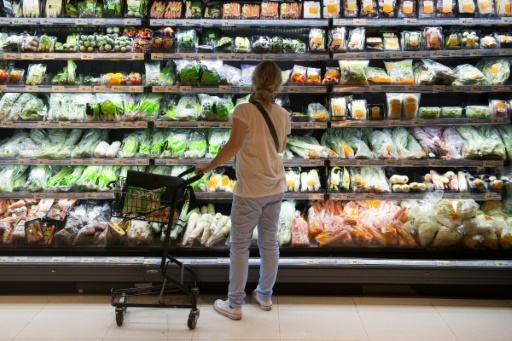 Plastic consumption — and waste — continues to balloon along with growing incomes and dependence on plastic products integral to almost every aspect of daily life. AFP/File / Noel CELIS. 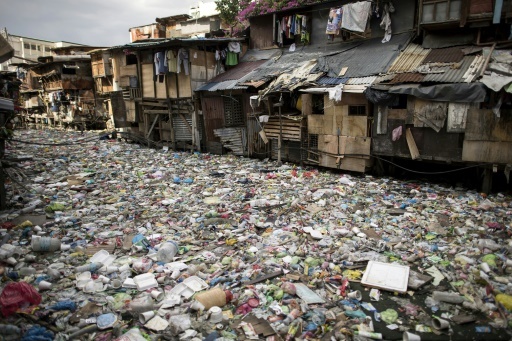 The Philippines is one of the biggest plastic polluters. AFP/File / Noel CELIS. 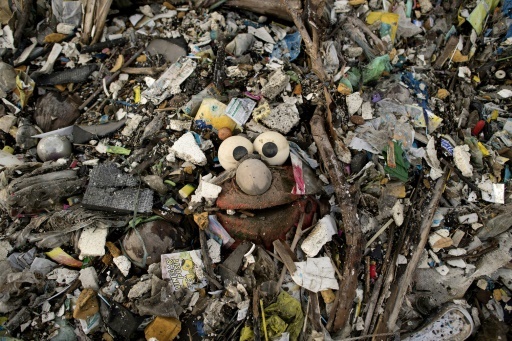 Low rates of rubbish collection in many parts of Asia is one of the main reasons why so much plastic waste ends up in the sea. AFP/File / Noel CELIS. 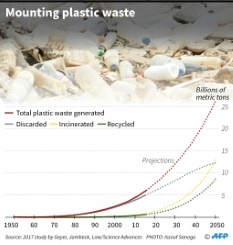 At current rates of dumping, there could be more plastic trash than fish in the world’s oceans by 2050 if nothing is done. 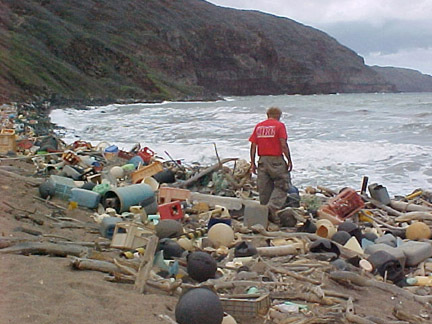 Featured Photo: Marine debris on a Hawaii beach, 5 April 2008, NOAA. Jenny Vaughan is AFP Vietnam bureau chief based in Hanoi, via Hong Kong, Washington, Ethiopia, Ghana and Uganda.